Listing of New York boarding schools - Boarding school directory for the State of New York – schools for boys and therapeutic boarding schools. New York, a state known for famous sports teams such as the Yankees and famous places such as Central Park, is also home to many top boarding schools for boys and girls of all ages. Whether it is a coed school or one with only boys or girls, the state offers numerous schools from which parents can choose. Founded in 1932, it’s considered one of the state’s most prominent boarding schools. A coed school for grades 9-12, it is known for high academic standards as well as a tradition of community service from its students. Along with standard classroom instruction, students have opportunities to participate in many community activities that allow them to gain a better understanding of the world around them. What makes this school unique is its focus on helping teenagers who have experienced problems in previous schools or with the legal system. Along with providing counseling services, the school also offers plenty of activities for boys and girls. Athletics, photography, music, painting, and outdoor activities are just some of the offerings this coed school for grades 9-12 provides its students. An all-girls school for grades 9-12, this school is located in Troy and is easily accessible from New York City as well as Boston and Philadelphia. Founded in 1814, it’s one of the state’s oldest and most well-renowned boarding schools. The 137 acre campus, with 23 buildings, has an enrollment of 330 students but a very low student-teacher ratio of only 6:1, guaranteeing personalized attention for each student. Coed for grades 7-12, the New York Military Academy has a 120 acre campus and is focused on training its cadets to be future leaders not only in the military, but in many other areas of society as well. 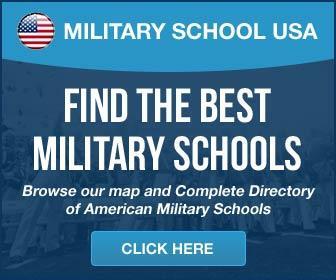 Accredited by the Commission on Secondary Schools of the Middle States Association, it has a solid reputation among those who desire a military education for their children. Unique in that it is a coed junior boarding school for grades 4-9, North Country is located in Lake Placid and provides numerous outdoor activities for its students. Horseback riding, working on a farm and planting a garden are some of the daily activities. The school is known for its emphasis on science and math, and is recommended for students who have aptitude in those academic areas. Should you need help finding best boarding schools, therapeutic schools for teens, therapeutic boarding schools or teen rehabs, please let us know. Directory of boarding schools in America, including: finishing schools, military schools, prep schools, preparatory schools, boys ranches, private secondary schools, private high schools, all-girls boarding schools or all-boys boarding schools, military academies, arts schools, specialty schools, alternative schools, therapeutic boarding schools, emotional growth schools, wilderness therapy schools, residential treatment centers, and Christian boarding schools. A boarding school is a school at which most or all of the students live during the part of the year.